Born and raised in Germany… Since 1999 I am calling the Monterey Peninsula, California, my home. 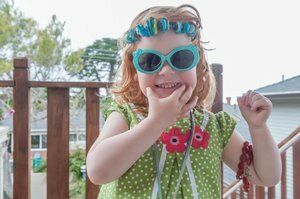 Together with my wife Beth and our daughter Tessa (7) we live in small apartment in Pacific Grove, surrounded by trees, with a peak to the Pacific Ocean. Photography always had a special meaning for me. I remember — when I was maybe 7 years old — that my grandfather rode on his motorbike through our neighborhoods and took photos of people posing in front of his camera mounted on a tripod. Today, going digital, with the internet and everyone having a camera on their smartphone, photography is still something special. It takes an eye and some patience to intuit the right moment to press the shutter. And then the great question: what to do with the photographs? Greeting cards resonate deeply in me. It is like art, beauty, joy and being practical, all creatively packaged into one easy to handle and affordable unit. I remember when I lived in Berlin, in Germany, that I enjoyed buying cards because they were inexpensive and comforting; instead to spend my precious money for a short-lived coffee or ice-cream I bought cards and found much more satisfaction. A greeting card for me is like a moment of settling down, the joy to hold something in my hands and to look at a — preferably — beautiful photo. Sight, texture, and possibly smell are part of it; plus all the other practical aspects of how to use a card as bookmark, notepad, communication device, or as way to experience peace and a more quiet mind… First for myself and then for another human being, when I share it. Anyway, talking about it is a story, but holding a card in your hand is the real thing. I just love it. Please don’t hesitate to get in touch with me via email, or in person, in case you are in the neighborhood. PS: Please keep me on your mind in case you need help with websites, photography, and more importantly Productivity Coaching — to get a handle on priorities, decisions and resources.